Firefighters helped ease evacuated residents' fears over the weekend when they provided text message updates as they protected homes from a wildfire that threatened a neighborhood in Orange County. Christine Russell received updates from Newport Beach Fire Station No. 6 during the tense hours of the Aliso fire firefight. 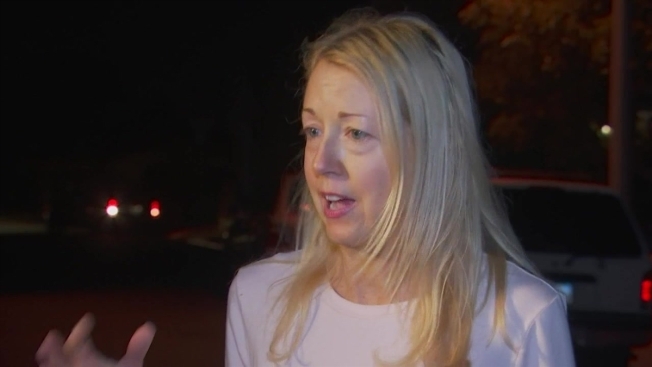 She was at a relative's house as the fire chewed through brush in a canyon near her house. Capt. Brad Smith sent Russell texts from the frontline. She then forwarded those to her neighbors. "It said, I want you to know that my engine has been assigned to your house, and we are stationed in the back," Russell said. "Just to get a visual that I am in a cozy bed at my sister-in-law's house and he is in my backyard, fighting to save my house. It's almost hard to believe." 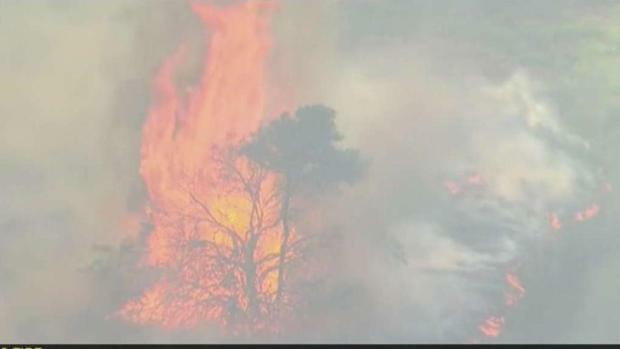 Evacuations releated to the Aliso Fire have ended in Orange County. Christine Kim reports for the NBC4 News at 11 p.m. on June 3, 2018. Smith let Russell know the crew planned to stay near her home overnight, just to watch for hot spots that could flare up. He let her know the team will protect her house "like it's one of our own." "Any crew or any firefighter would do the exact same thing," said Smith. "We're just doing what we think is right and doing the best that we can." 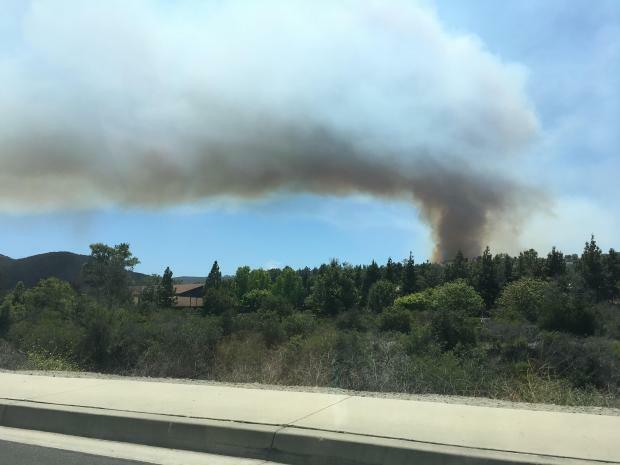 At one point, the fire in the Aliso Woods Canyon area behind Soka University, forced mandatory evacuations of 2,145 homes. The fire was first reported shortly after 1 p.m. Saturday and quickly grew from an original half-acre. Mandatory evacuation orders were lifted for Aliso Viejo around 9 p.m. Saturday, but around 300 homes and 600 residents remained evacuated Sunday morning. 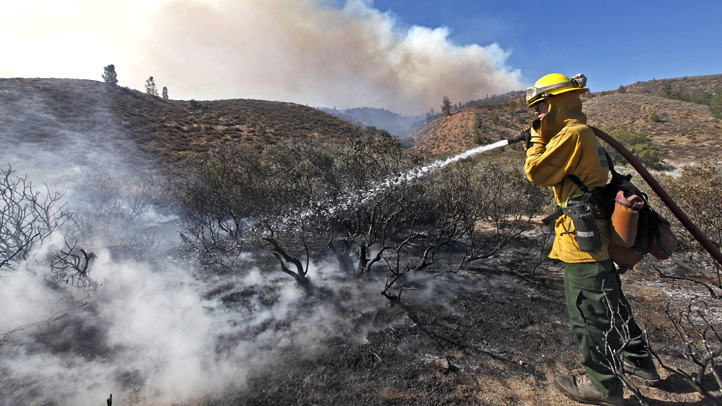 The Aliso fire was 40 percent contained by a ring of cleared vegetation late Sunday and the last evacuation orders were lifted. About 400 firefighters continued to work Monday to clear vegetation and put out hot spots, and investigators trying to determine the cause of the fire were asking for the public to call 1-800-222-8477 if they can provide information.